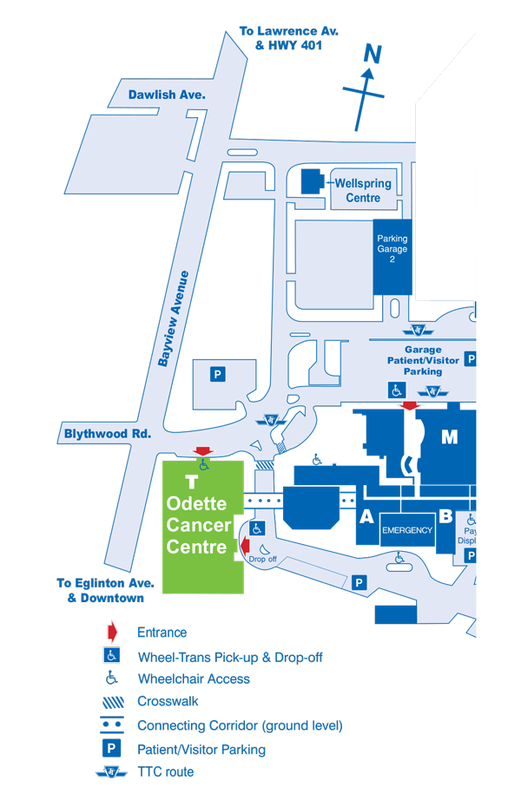 The Odette Cancer Centre is located at our Bayview Campus on the south east side of Blythwood Road and Bayview Avenue. 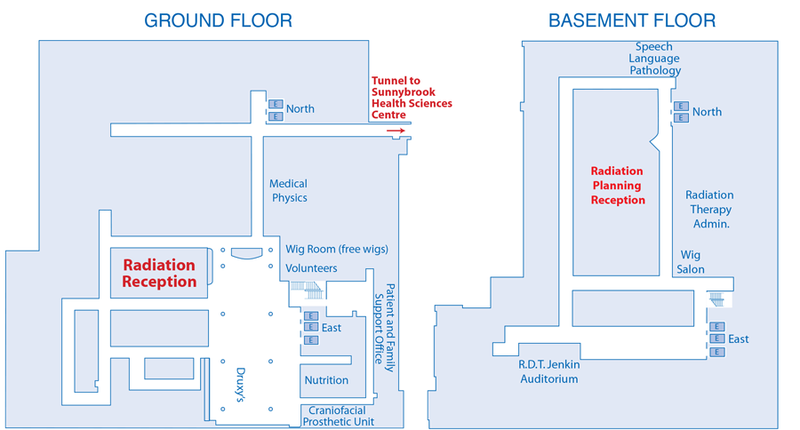 View campus maps and directions. 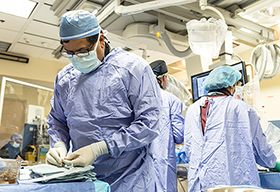 The hospital is located at 2075 Bayview Avenue, two traffic lights north of Eglinton Avenue East and three lights south of York Mills Road, south of Hwy. 401. 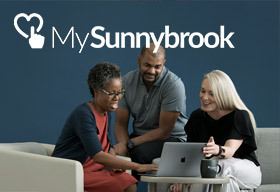 Bayview 11: runs from Davisville subway via Sunnybrook to Sheppard and/or Steeles Avenue. Lawrence 124: runs from Lawrence subway to Sunnybrook. 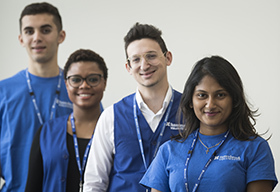 The Pay-per-use cards and weekly passes can be bought through the Parking and Transportation Services Office (C-Wing, Ground Floor, Room 1; 416.480.6100 ext. 4123). Rates may change without notice. Staxis are available in the parking lot across from the OCC and the Centre's east entrance for a refundable deposit of $1.00. 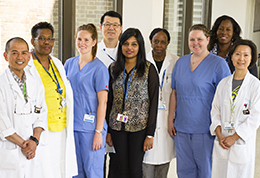 New patients, chemotherapy patients and follow up patients: please check in at T-Wing, First Floor, Reception each visit. 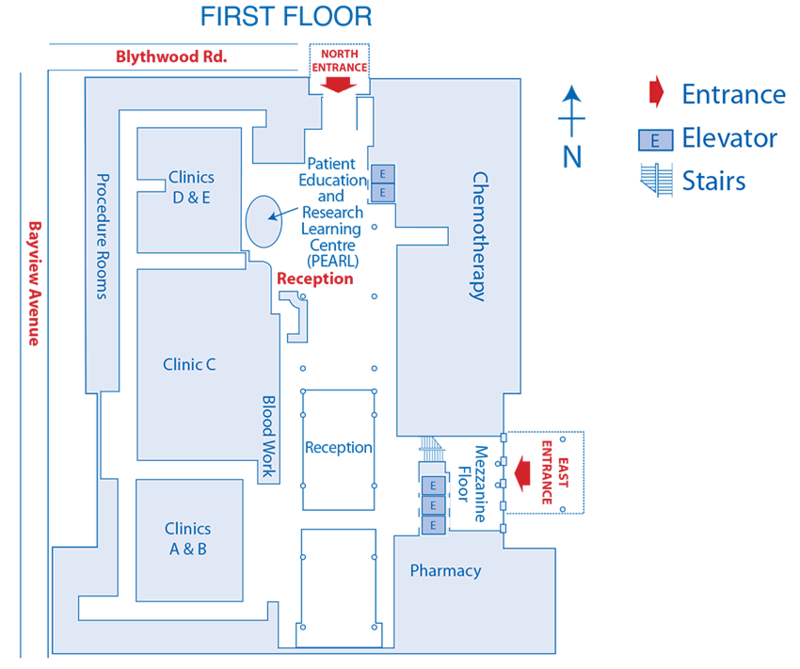 Patients having radiation treatment: please check in at T-Wing, Ground Floor, Radiation Reception.